Joined by supporters of Christine Blasey Ford, who has said the nominee assaulted her during a party decades ago when they were both in high school in suburban Maryland, Sen. Kirsten Gillibrand, D-N.Y. slammed Republicans for "bullying" the college professor. "She's not asking for extraordinary measures, she's asking for basic fairness," she said. "We believe Dr. Blasey Ford and so grateful to her for coming forward and sharing her story," said Sarah Burgess, from the class of 2005, who stood flanked by fellow alumnae and lawmakers. "As we say in the letter, her experience is consistent with experiences that we have heard and lived and many of us are survivors ourselves," she said. "We are sharing this letter so it can be officially added to the record and they can consider it as they make this very important decision. Dr. Blasey Ford has shown she beyond credible. Sexual assault needs to be taken seriously and there is no way that you can vote on this before we have a thorough and independent investigation. Once again, most of all, we are so grateful to Dr. Blasey Ford and we hope she knows that we stand with her. We are so thankful that she is helping us move towards a world where women can be free of sexual assault and violence. Thank you." Twelve members of Ford's family have also penned an open letter of support for her, which Bridget Mendler posted on Twitter on Thursday with a plea for the public to "Please remember her humanity." And a GoFundMe campaign aimed at covering Ford's security costs has raised more than $200,000 purportedly toward that goal. Ford's lawyers, in a letter to Senate Judiciary Committee chairman Sen. Chuck Grassley, wrote that she has faced threats and has been forced to leave her home. "She has been the target of vicious harassment and even death threats. As a result of these kinds of threats, her family was forced to relocate out of their home. Her email has been hacked, and she has been impersonated online," her attorneys wrote. 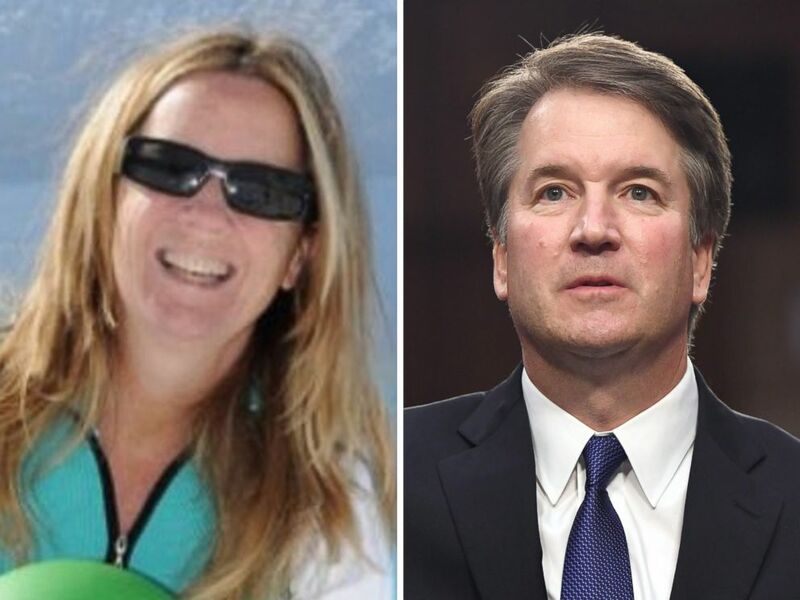 Ford attorney Lisa Banks sent out a statement on Wednesday evening saying "the Committee's stated plan to move forward with a hearing that has only two witnesses is not a fair or good faith investigation; there are multiple witnesses whose names have appeared publicly and should be included in any proceeding. The rush to a hearing is unnecessary and contrary to the Committee discovering the truth."